Every December my parents would be in Malaysia for their annual holiday except for last years December 2012. So my sister and I decided to throw a family getaway. We went to Bright. What makes a perfect getaway for you? For us its, FOOD! Glorious food! I decided to surprise my parents with this wonderful hamper, ‘Simply Delicious’ from Interflora. It is packed full of goodies to munch on; on our way there, during our stay and on the way back. We had honey coated peanuts to keep us entertained in the car on our 3 hour journey; for our afternoon teas we had those soft melting moments (which are to die for); for our movie night we had chocolate coated honeycomb and caramel popcorn; as for our picnic in the park…we enjoyed chilli & garlic marinated olives with some savoury cheese biscuit straws, wafer crackers dipped in mild chunky salsa and apricot & macadamia dip. This had us pretty much covered for the entire trip. Except of course one hamper wasn’t enough, it was more of a tasting platter for the 7 of us. 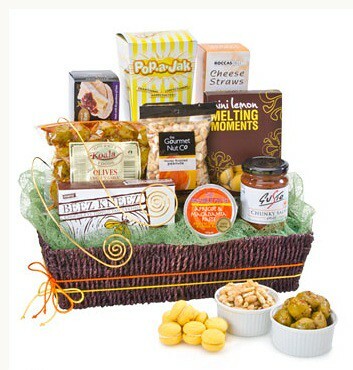 I did mention that this hamper was originally for my parents, right? Of course it was too good to resist so we all digged in! There were a few things that I loved about Interflora online. One, their website is very user friendly. 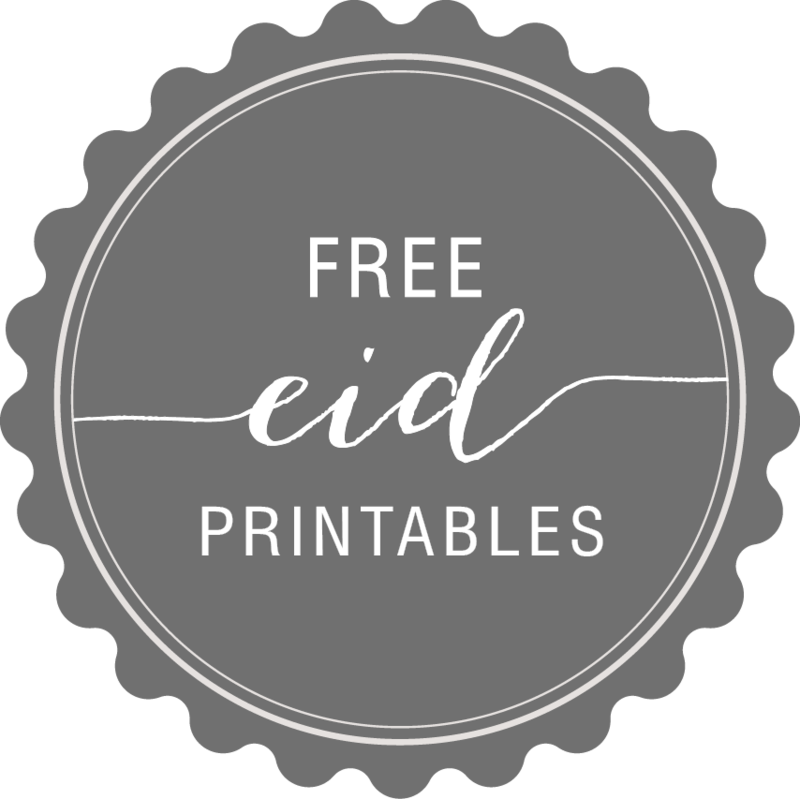 The theme is so easy on the eye, navigating through categories and browsing at my own pace was very relaxing and enjoyable. As a designer myself, I find this point really important. The first look is what matters the most – to attact your customers, not push them away from being overwhelmed by products. Secondly, I liked how they incorporated a few ‘extras’ to complement your purchase to make it even special. I added an extra teddy bear so I could hand it to my daughter during our trip. You can add a flower, balloon etc. And lastly,Interflora delivers internationally! By a click of a button, its on its way to being delivered without having to worry. This is a big bonus for us as we have a lot of relatives overseas. However, hop on over to Interflora and be amazed by what they have to offer. You will surely find something that will suit your needs and budget. Wherever you go in life, it always ends up bringing you back home. Although, not literally (in this context). For me, having my quick fix of fresh and spicy Malaysian street food is what I love most. 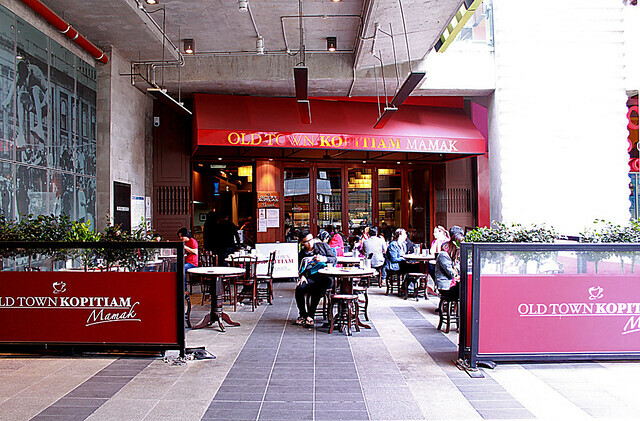 Quoted from their website, “Old Town Kopitiam Mamak is the most authentic Malaysian restaurant…” and I agree, but just add ‘in Melbourne’ at the end! Mamak simply means Tamil Muslims and if you ever go to Malaysia, be sure to experience the street food culture (note: I don’t take responsibility if you get an upset tummy, mine surely can handle it!). Kopitiam on the other hand, refers to Malaysian Chinese coffee shops. So together combined, makes it a wonderful place just like home. After all, that’s what Malaysia is all about. Food + Culture = A Glorious Eating Nation! 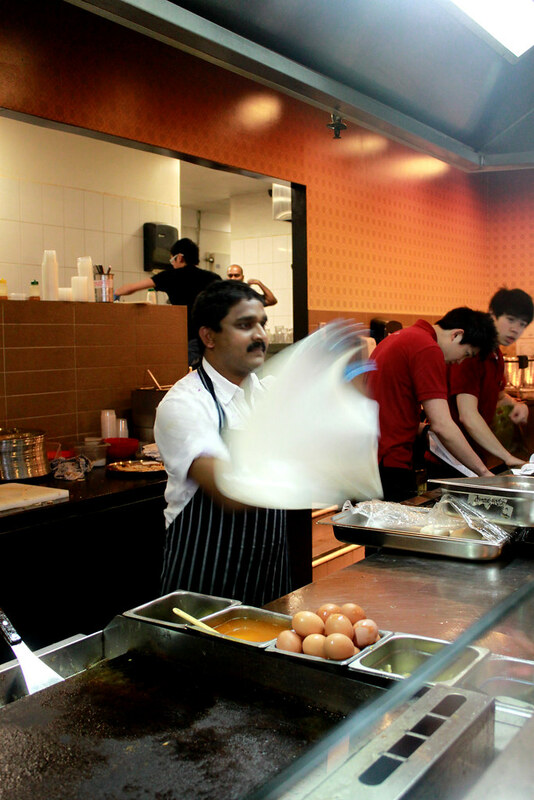 Pictured above is a mamak flipping a roti canai. Ahh, now I am reminded of how good and flaky this bread is. I’m giving it a 9/10. 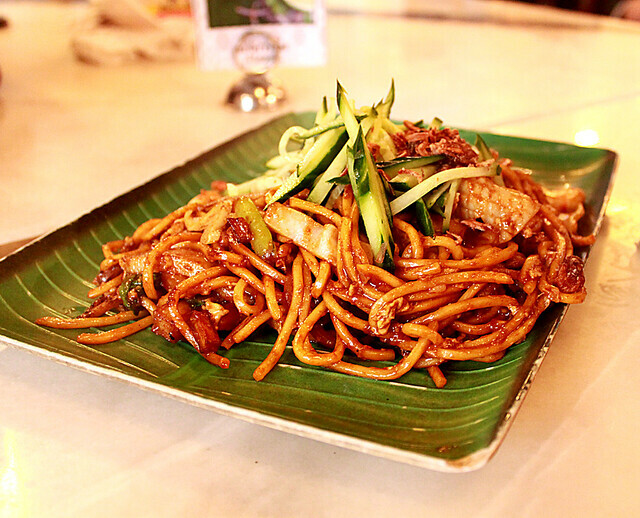 The best mee goreng is, mee goreng mamak style. Its so flavoursome and smokey. 9/10 from us. 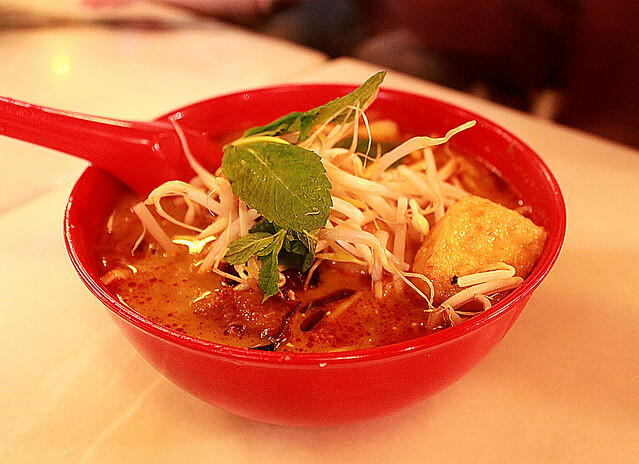 Curry Laksa. I get this every single time. Did I not mention I’m a laksa fan? This could easily pass for a 10, but presentation wise…hm…I’ll settle for a 9.5 instead. But do try out my version, here. Its as close as you can get to the one in Kopitiam. I promise. 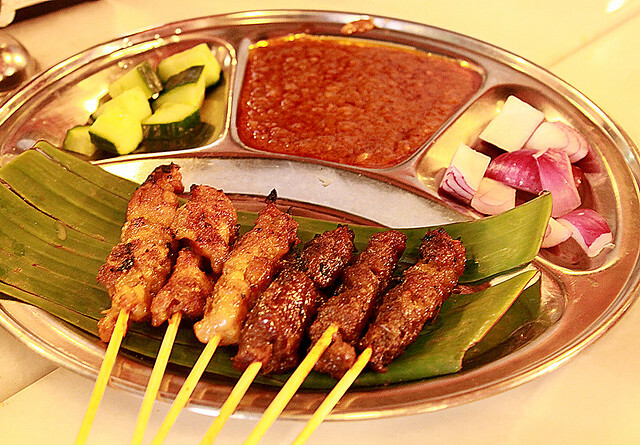 If you’re familiar with Malaysian cuisine, you can never fail to order a bunch of satay sticks. This was our entrée, ‘chicken and beef satay’ with peanut sauce. Although I have to admit it isn’t as good as the ones back home, but hey, probably the best in Melbourne. 8/10. I’ve been dining here over the last few years, countless amount of times and have not once been dissapointed. 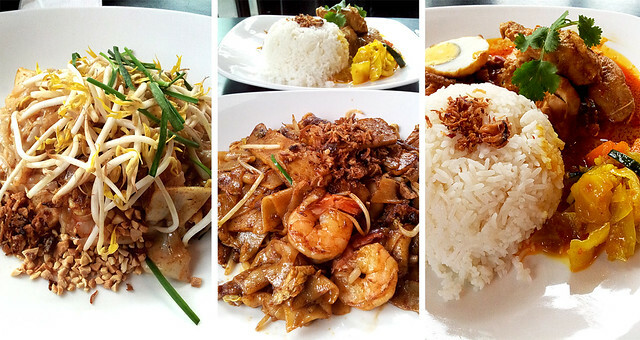 Just recently, they expanded their menu with a wide variety of mamak meals and drinks. Couldn’t be happier. The prices are pretty reasonable too, averaging from $9-$14. We eat here one too many times, that my husband and I have a secret code for it. We call it ‘KP’. Give them a try the next time you’re in town. 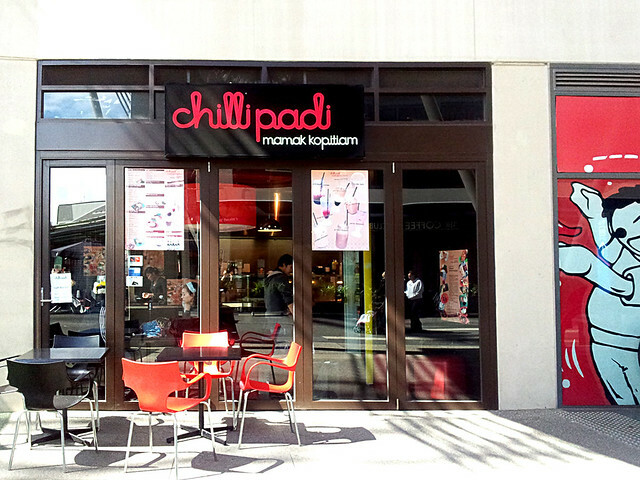 Chilli Padi in Waterfront City, Harbour Town is a casual + halal eatery just outside Melbourne CBD. They have a few chains around Melbourne so do check out their website for more details. We found that their menu isn’t as extensive as the other Malaysian joints such as Kopitiam in QV or Chilli Padi Mamak Kopitiam in Flemington (which I will post a review later on) but for a small cafe like this, the food tasted pretty good. Plus, they only operate till 6pm or so I believe (please confirm before you visit). *Note: Don’t order their flaky bread/roti. Its not worth your money. Trust me.